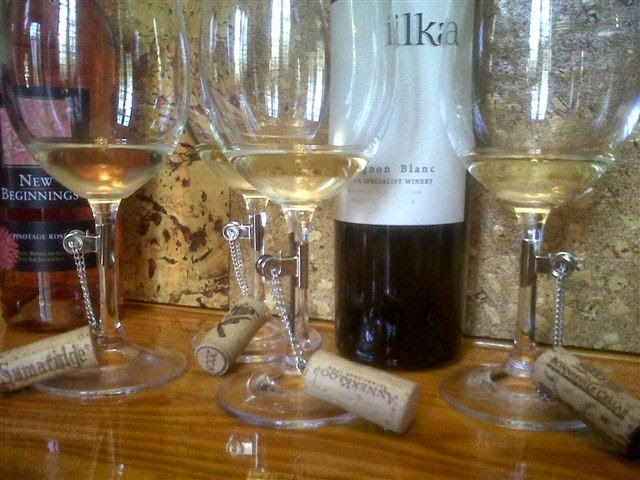 Wine Marketing Services SA: Branded Cork Wine Charms for your party! 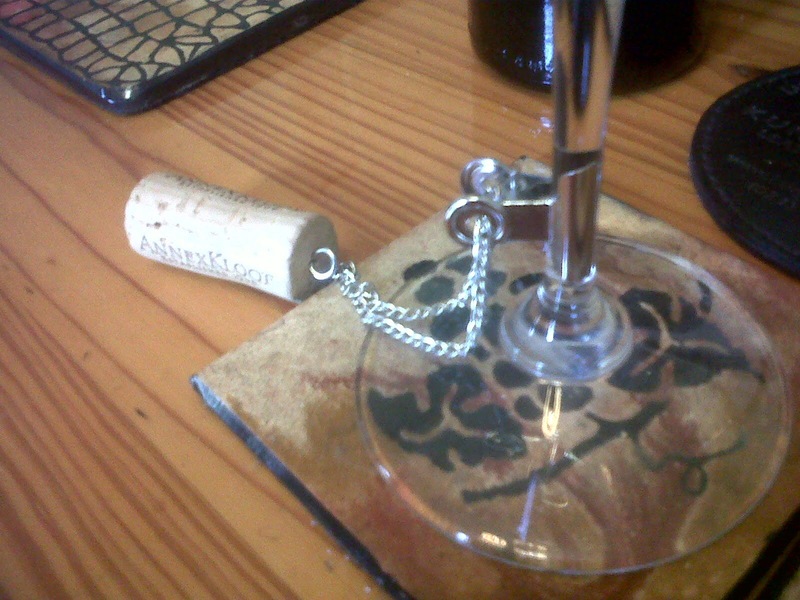 Branded Cork Wine Charms for your party! Now you can face the party season or any big function with confidence, knowing that everyone will have something to talk about. Natural branded corks are a great conversation opener, making it fun to identify your own glass. Natural recycled corks taken from the cellars that FMS markets are used to create these quirky and unique wine charms. As a green product range it gives you as a host that extra wow factor. Each used branded cork is linked with a silver chain onto a tiny silver clip which attaches to the stem of the wine glass. Six different branded corks are presented in a clear cellophane resealable bag. It is the perfect gift for the festive party season, or as a memento at a large corporate function or wedding, creating special memories and great topics of conversation. A fun and exciting way to discover new wineries. Order yours now and be the envy of your friends and colleagues. Be sure that your function will be talked about for weeks afterwards. If you want a specific theme, tell us which category of brands you would like featured. Even send us the corks of your choice. Labels: "Anton Blignault", "Branded Cork Wine Charms", "cork recycling", "FMS Wine Marketing", "function memento", "wine charms", "wine marketing"